The most common types of stoves on the market are categorized as either using liquid fuel or canister fuel. As with all gear, each has their pros and cons. Most liquid fuel stoves use white gas, kerosene or in some cases auto gas which are attached to a refillable fuel bottle. 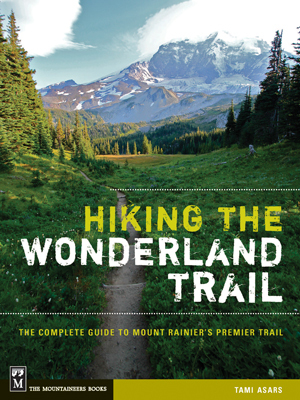 They tend to have excellent performance in cold-weather, which makes them a good pick for those into mountaineering or snow camping. The fuel is inexpensive making liquid fuel good choices for larger groups and there is no canister to discard when the fuel is empty. They do, however, require priming which is a process which coverts the fuel from liquid to vapor through a preheated fuel line. This process can be moody and tricky if the user is unfamiliar with the stove and can cause the stove to flare up. Before lighting a liquid fuel stove, be sure to clear the forest duff underneath of it, to decrease the fire potential. Or better yet, light it on a flat rock. These stoves have a higher likelihood of accidental fuel spills and can be a bit heavier and more costly than their canister brothers. Canister stoves are a bit less complicated and the easiest to use. I’d venture to say that a simple-minded spider monkeys could probably cook a mean Top Ramen on them. To light them, screw the canister to the stove, turn a dial and light them with either a lighter or a Piezo ignitor (button). Because the fuel is contained to a canister, the likelihood of spilling fuel is very slim. They are usually lightweight, have easy flame management and burn very clean. One drawback with canister stoves is that it’s hard to tell exactly how much fuel you have left and predict how much you’ll need, as you can’t see your quantities. Another con is that canister stoves are not refillable and until recently were not recyclable. Now tools on the market allow you to release any remaining fumes by punching a hole in the canister and allowing it to become safe for your recycle bin. As a rule, canister stoves do not perform as well as liquid fuel in cold weather and tend to sputter when cold. Manufacturers have been addressing this by adding higher concentrations of propane in the isobutane mixes. On cold days, keep the canister in a pocket or sleeping bag at night to help get the stove up to temperature. Within the last several years, integrated stove systems using canisters have begun showing up. 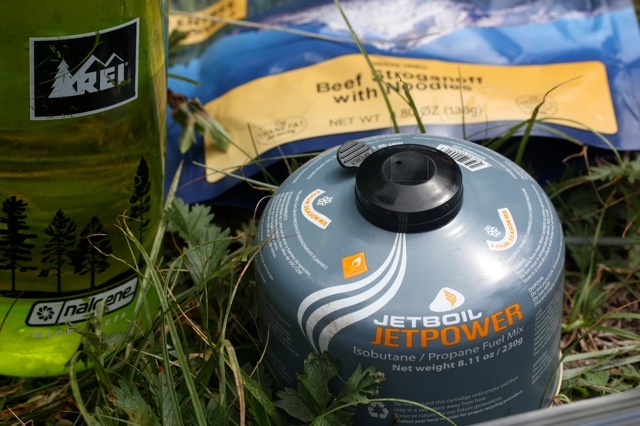 These stoves such as the Jetboil series provides faster boiling times, improved fuel efficiency and combines the large cooking cup with the stove. The whole thing packs into itself and makes a fairly compact stove system to pop into a pack. These types of stoves are best used for boiling water, however, optional accessories allow the stove to fit to group sized cooking pots. Denatured alcohol stoves, Esbit® stoves and Sterno® stoves are other types of stoves which are mostly used by those who are traveling ultralight or going solo. If you choose to use one of these stoves, you’ll want to be sure you know exactly what you are doing as they can be tricky to use due to heat output, easy of use and cooking control. Whichever model you choose will get your meals hot and hopefully keep you from being ‘flame-ous for setting something on fire.